We looked at the top 5 Robotic Vacuums and dug through the reviews from 56 of the most popular review sites including New York Times Wirecutter, Digital Trends, Tech Radar, The Verge, TechHive, Consumer Reports and more. The result is a ranking of the best Robotic Vacuums. Looking for other robot vacuums besides the iRobot Roomba brand? Head on over to our full review of the all robot vacuums to find the best of the best. Our experts reviewed the top 5 Robotic Vacuums and also dug through the reviews from 56 of the most popular review sites including New York Times Wirecutter, Digital Trends, Tech Radar, The Verge, TechHive, Consumer Reports and more. The result is a ranking of the best of the best Robotic Vacuums. If you don't mind a little noise and a price that is at the high end of the Roomba family, the 980 has a lot to offer. From doing a good job mapping and navigating rooms to delivering up to 120 minutes of run time per battery charge, it is built to get the job done effectively and efficiently. DWYM Home Experts plus New York Times Wirecutter, Consumer Reports, CNET, PC Magazine, Wired, Tom’s Guide and 3 more. Along with user reviews from Amazon, Best Buy, Walmart, Home Depot and Bed Bath & Beyond.
" The Roomba 980 is a lot like the Roomba 960 (our upgrade pick). Like other Roomba models, we really like that the Roomba 960 is repairable. You should be able to keep this thing running for quite a while, which..."
"Required manual cleaning of pet hair from brush. There is no on/off switch, and there is no remote control." The Roomba 675 can be controlled with an app on your smartphone, and it can tell when it's moving over a patch of flooring that requires a deeper clean. It can also clean for up to 90 minutes on a single charge and won't break the bank. DWYM Home Experts plus Modern Castle, Smart Robotic Reviews. Along with user reviews from Amazon, Target and Best Buy.
" The AeroVac filter is still a HEPA filter." "The iRobot Roomba 675 doesn't have a path planning feature. It comes with a random pattern that takes a little bit longer to clean compared to devices with a "mapping" feature." 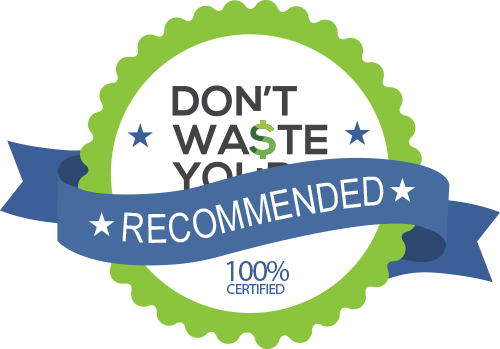 Reviews from our DWYM category experts and analysis of some of the most respected sources including: New York Times Wirecutter, Digital Trends, Tech Radar, The Verge, TechHive. We also incorporate user reviews from the leading retailers including Walmart, Amazon, Best Buy, Target, Home Depot, Bed Bath & Beyond. The AeroVac filter is still a HEPA filter. The iRobot Roomba 675 comes with an app and supports Wi-Fi that allows you to control the robot remotely. The bristle style does offer a lower price point, and cleans well on hardwoods, but tends to struggle with fine debris types on carpeted floors. The iRobot Roomba 675 doesn't have a path planning feature. It comes with a random pattern that takes a little bit longer to clean compared to devices with a "mapping" feature. If pushing a vacuum around the house several times a week is something you’d rather not do, you aren’t alone. Vacuuming takes time away from the activities you’d rather do, can be awkward when it comes to cleaning around and under objects and furniture and can even be difficult for individuals with physical limitations like arthritis or back problems. However, with today’s state-of-the-art technology, you can let a robotic vacuum do the work for you so you can have freshly vacuumed floors any time you want without lifting a finger. iRobot is one of the first companies to develop and market robotic vacuum technology and has been manufacturing these mighty little machines for consumers since 2002, when the first Roomba hit the market. What started with one robotic model has grown to a family of vacuums that fit a wide range of budgets and offer an array of impressive features that are powered by state-of-the-art technology. If you’ve never experienced the capabilities of a Roomba vacuum, you are in for a welcome surprise when you see how much time and effort owning one can save you. These computerized machines were developed by roboticists and rely on internal sensors to pick up dirt and debris on carpet and hard flooring. The sensing technology even prevents them from tumbling down stairs, so you don’t have to worry about mishaps if you live in a home with more than one floor. Roombas have small brush components that flick dirt toward the two roll brushes located under the units, where it’s then suctioned into internal dirt bins. They do a good job targeting all types of messes, and models like the Roomba 980 are great for pet owners, thanks to the ability to release and remove fine hairs. The compact, circular design Roombas sport is perfect for zipping around and under objects like tables, couches, chairs, and more —objects you’d have to move to clean under using a traditional upright vacuum cleaner. Roombas come with docking stations where they spend their time when not cleaning your floors, and where their batteries are recharged. Run times are typically 60 to 75 minutes per charge, although some models can run as long as 120 minutes per charge. These home-cleaning robots dock automatically once their chores are complete. The top-selling Roomba 960 can even keep track of areas it has cleaned and return to complete the task after recharging. If you love smart technology, Roombas’ intuitiveness and Wi-Fi connectivity will also impress you. All you have to do is download the iRobot HOME App, and you can control your little home-cleaning robot with your smart device. You can track cleaned areas, schedule cleaning time, and get important alerts such as when it’s time to empty the dirt bin easily through the app. You can even use Alexa voice control to take command of letting your Roomba know when to tackle a cleaning job. When Roombas were first introduced, the robotic technology was new to home cleaning machines; therefore, the price of these innovative robots was out of reach for many consumers. However, the family of Roombas now includes robotic vacuums to fit almost any budget. The Roomba 675 model, for example, is one of the more affordable Roombas yet features many impressive features, such as smart connectivity, three-stage cleaning and the brand’s Dirt Detect technology that senses areas that require a bit more attention. On the other end of the price spectrum is the Roomba i7 which delivers superior suction on different floor surfaces and can even be purchased with its own “clean base.” There it can empty up to 30 bins of dirt automatically, further cutting down on the work you have to do to keep your home tidy and clean. Although Roombas have been available for consumers to purchase for their homes since 2002, the technology was in the works long before that. Roboticists with the Massachusetts Institute of Technology had a reputation for making robots for numerous purposes, and wanted to make this amazing technology available for everyday uses. With that goal in mind, the iRobot company was founded in 1990. While the roboticists continued to make robots that served military, search, space exploration and tactical purposes, the plans were also in the works to develop home-cleaning robots that would be practical and affordable for the consumer market. Today, millions of Roombas have been sold worldwide. The iRobot company is so passionate about robotic technology that it also strives to inspire students who are interested in pursuing degrees in science, technology, engineering and math, also called STEM, by providing a host of resources to parents and educators. If you have pets, you’ll want to choose a Roomba with a dual-brush system that’s designed for removing small particles like pet hairs. The Roomba 960 model boasts this capability, plus it delivers three-stage cleaning and five times the air power that’s designed for cleaning tasks that require superior suction. You can maintain your Roomba’s suction power by keeping the filters clean. Shake them out periodically when you empty the dust bin. Once they become too dirty, you’ll need to replace them for best results. To ensure that your Roomba is operating with optimal efficiency, inspect the brush rolls every few weeks. Remove any tangled hairs or fibers to keep them moving smoothly. If you know that you will need your Roomba to clean during a specific time frame, plan the charge time accordingly so it’s ready to go. Roombas typically take about two hours or so to recharge. However, when left off the charging dock for an extended period of time, it could take as much as 16 hours to achieve a complete charge. Remember that keeping your Roomba on its charging dock when it’s not cleaning will keep it recharged, and also help maintain the life of the battery. Think about the cleaning jobs your Roomba will be performing before you choose a model. While less pricey options offer lots of features and smart technology, pricier options like the top-selling Roomba 960 and the Roomba i7 also have the same technology plus provide better suction power. With 10 times the suction power, the Roomba i7 may be the best choice for consumers with households that have a lot of foot traffic. If your budget is limited, don’t hesitate to give one of the more affordable Roombas a try. The Roomba 675, for example, is one of the less pricey options, yet can still clean carpeted and hard floor areas. It can also suction small particles as well as larger debris. Keep in mind that it’s important to keep your Roomba’s dirt collection bin emptied for optimal performance. This usually needs to be done after several run times. However, the bin will need to be emptied more frequently when the Roomba cleans high-traffic areas. Choose the Roomba i7 with clean base automatic dirt disposal if you like the idea of not having to empty the bin on a regular basis. For the Robotic Vacuum category, we analyzed 56 of the most popular reviews including reviews from New York Times Wirecutter, Digital Trends, Tech Radar, The Verge, TechHive, Consumer Reports and more. The result is a ranking of the best Robotic Vacuums.